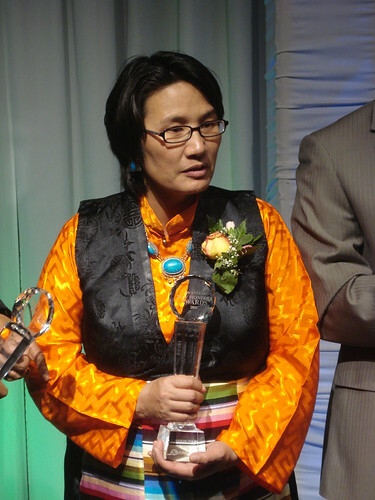 Drebu would like to congratulate fellow Tibetan Ms. Tsering Dolma for being awarded the 18th New Pioneers Award on Feb 25, 2010. 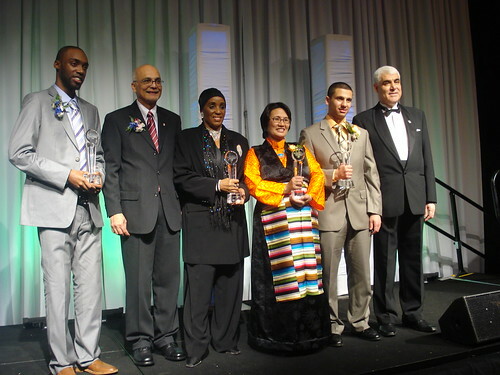 This award is a program of Skills for Change, an organization based in Toronto: the award is presented as a tribute to individuals and groups who have contributed to the understanding and sharing of Ontario’s cultural diversity. Please click here New Pioneers Award to learn more about the significance of this award. Ms. Dolma’s work in her community and her workplace at University Settlement earned her one of six New Pioneers Awards – which recognize the achievements and contributions of newcomers to Canada – which was presented by Skills for Change at the Royal York hotel. Ms. Dolma arrived as a refugee in Canada and achieved an impressive array of accomplishments through her initiative and commitment. She currently works as a community development worker at University Settlement in downtown Toronto. Drebu is honored to have been approached by Ms. Tsering herself to organize an event with Tibetan artiste to lead the 2010 award recepients. Drebu organized two talented Tibetan youth performing artists to do a traditional dance performance and lead the winners to the stage. Lodoe (boy) and Chuki (girl) kicked off the ceremony by rhythmically dancing to a song which was sung by Tibetans in Minnesota to welcome His Holiness the Dalai Lama. 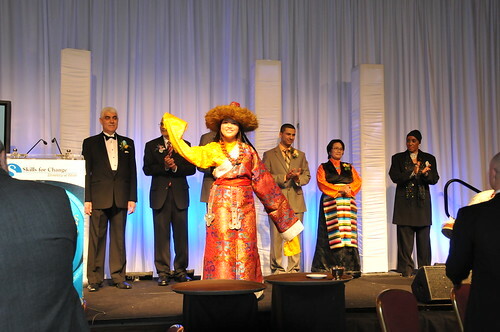 They performed one more traditional Tibetan dance routine before the awards were conferred to the winners. The audience from all over Toronto was offered a wonderful opportunity to see a glimpse of Tibetan culture. 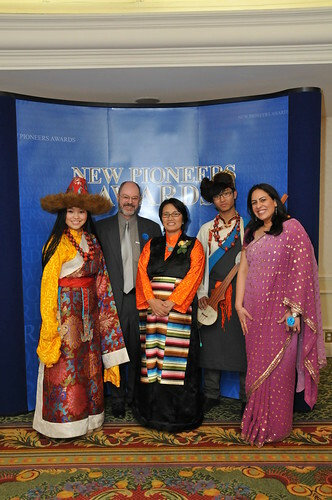 Congratulations, Tsering and all the 2010 Pioneer Award winners! Thank you to Lodoe and Chuki for your wonderful performance and sharing Tibetan art and culture with the fellow Canadians! Copyright 2010 DreBu : All rights reserved.